Building on research published last month, the company plans to use the funding to secure additional clinical validation. 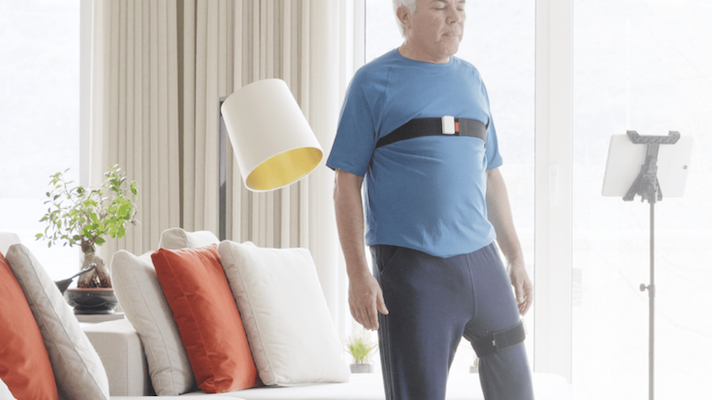 Digital physical therapy company Sword Health has raised $8 million in a Series A funding round led by Khosla Ventures, with additional participation from unnamed angel investors. The round brings Sword Health's total funding to more than $15 million, according to the company, including a $4.6 million seed round in April of last year. Founded in Portugal, the company now has offices in New York and San Francisco as well as Porto, Portugal. Sword Health provides tech-enabled physical therapy with a particular focus on musculoskeletal (MSK) disorders. Working with employers and self-insured employers, Sword Health's approach combines a wearable motion tracking device, an AI-powered digital therapist and a clinical portal through which human therapists can access users' data. Just last month the company published two small studies in JIMR and Nature Scientific Reports, showing that its program improved recovery among patients recuperating from total knee arthroplasty. Further clinical validation is one thing Sword Health said it will pursue with the funding. It also plans to continue to improve the product from an engineering standpoint, and to scale the business, expanding its North American footprint and getting the platform into more homes. "We already proved we could make the impossible possible by developing a new technology many thought unthinkable," founder and CEO Virgilio Bento said in a statement. "With this round we want to go from the possible to the inevitable." A number of digital health companies have identified digital physical therapy as an area of great opportunity: In addition to being an expensive area, it also intersects with the opioid crisis, as good physical therapy can reduce the need for pain medications, which can be a gateway to opioid addiction. Reflexion Health and Physitrack are some long-term participants in the space. Physera and Hinge Health are another two companies that have raised a good deal of funding to tackle this space. Some companies like VRHealth are even using virtual reality to deliver remote physical therapy. "[MSK] disorders are driving work absenteeism, fostering opioid consumption and paving the way to otherwise avoidable surgeries. We're building the next 50 years of the physical therapy world and with this we're reshaping [MSK] care," Bento said. "[MSK] care has had very little innovation in the past 50 years, and yet it is one of the most expensive areas in healthcare," Khosla Ventures founder Vinod Khosla added. "Sword can disrupt the physical therapy landscape with their end-to-end technical approach that enables exponentially more efficient delivery of care for patients and payers."